meaning “that they may know Me” as Muhammad’s cousin Ibn Abbas explained it. This hadith qudsi sounds very familiar to Christians, as well. Although no image would be allowed here, a deep feeling of limitless amicability is certainly conveyed to those who want to contemplate these words. Since Adam and Eve were created in His image, all human beings are hidden treasures, too. And all have this deep desire to be known. So, all of us create our own little worlds, each according to his or her capabilities, talents, gifts. Of course, a limited and ephemeral world, not comparable with the Almighty’s creation. 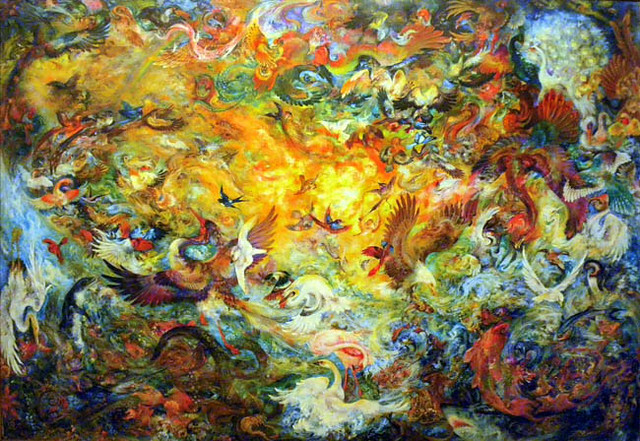 This entry was posted in Islam, Religion and tagged Hadith Qudsi, Hidden Treasure, Mahmoud Farshchian, The Fifth Day of Creation. Bookmark the permalink. 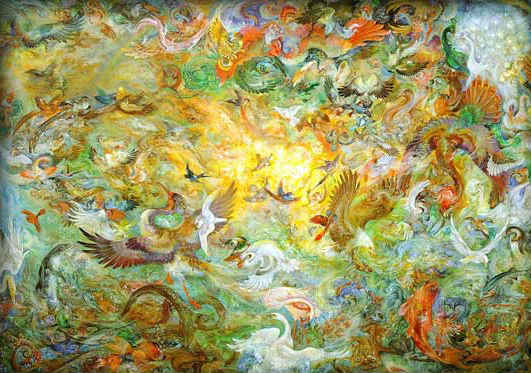 Tahirih dawned upon the earth as the Maid of Love in the nineteenth century, Iran to open the Portal to Source and inform all that they are now in the Age of maturity where all can be Tahirih’s and co-create the new paradigm of balance on earth. The neologism “Tahirihlogy” (the living study of the Teachings of Tahirih) has emerged as gift to all so that they may recognize the God/dess within and co-create. She was a Hidden Treasure, The Maid of Love, for our Age. Has been chosen as “best answer” by yahoo.com.